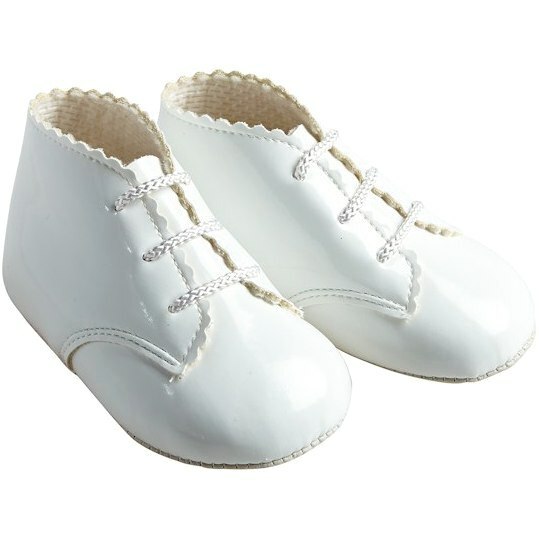 White patent lace up pram boots, unisex so suitable for a baby boy or girl, perfect for a christening, wedding, party or simply a special occasion etc. These shoes will beautifully compliment their special occasion wear. Absolutely love these dressy shoes for my baby! They look even better in person. Quick shipping too!